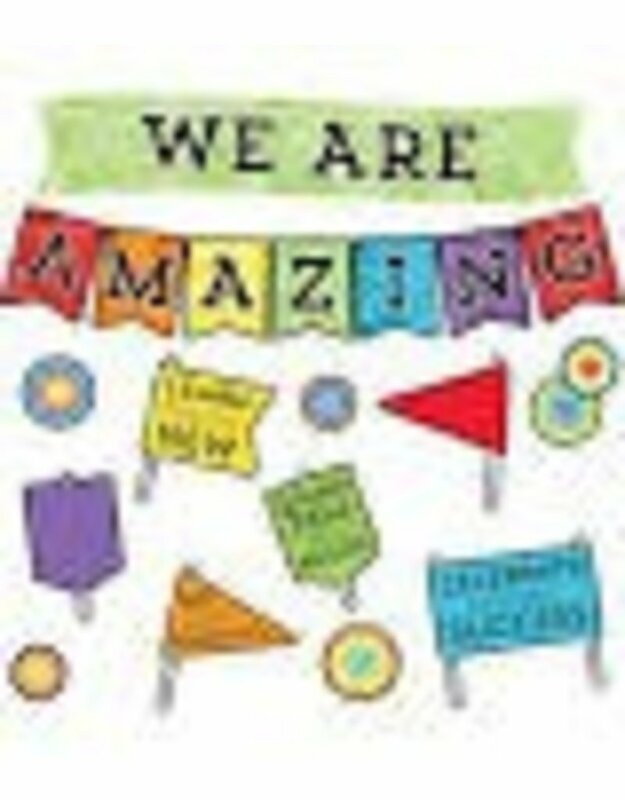 The 22-piece Celebrate Learning We Are Amazing bulletin board set. includes these pieces:-1 large banner (2 pieces)-7 lettered pennants-4 preprinted signs-2 blank signs-7 fansThis bulletin board display features positive messages like “Celebrate Each New Success” and “We Choose Positivity”. Inspirational bulletin board sets are perfect for adding motivation to any area of your classroom. Designed for versatility, these sets are ideal for creating several small displays or one large display. Make sure to view other Celebrate Learning products to create a unified classroom theme.